The Makeup Show NYC, which continues to be the largest pro-driven beauty event in the world, was held on Sunday, May 7th and Monday, May 8th at Metropolitan Pavilion in New York City. 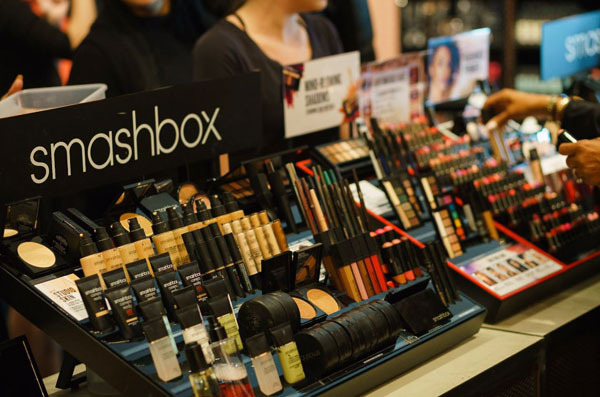 The Makeup Show NYC brings together everyone’s favorite brands – from MAKE UP FOR EVER, Smashbox, and Kat Von D Beauty — as well as some of the biggest names in the beauty industry including Jordan Liberty who was named Artist of the Year for the show’s first-ever Pro Awards. 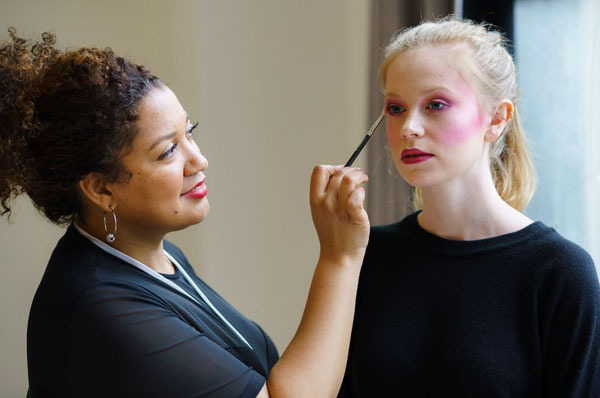 Attendees, who came from all professional corners of the beauty industry, were able to shop for products from over 85 different brands, get tips from nearly 50 different inspirational keynote speakers and seminars, attend hands-on workshops, the first-ever The Makeup Beauty Brunch, and the return of the Beauty Tour NYC. The Makeup Show NYC Highlights The Makeup Show NYC featured over 85 top beauty brands including: Diamond Sponsor MAKE UP FOR EVER, Platinum Sponsor Crown Brush and Temptu PRO, Silver Sponsor Frends Beauty, Kat Von D and NYX Professional Makeup, Supporting Sponsors INGLOT Cosmetics, Alcone, MustaeV, Smashbox, and L’Oreal, Contributing Sponsors Glamcortec, Bdellium Tools and Pinnacle Cosmetics, and School Sponsor MAKE UP FOR EVER Academy. The Makeup Show NYC kicked off the morning of Saturday, May 6th with The Makeup Show Beauty Brunch. This event gave attendees the opportunity to mingle with press, and share some time with their favorite artists and brands. Guests sipped champagne cocktails and celebrated the beauty business and brought home a gift bag full of the pro community’s favorite products. The Beauty Brunch was sponsored by MAKE UP FOREVER Academy, NYX Professional Makeup, Crown Brush, Glamcortec, and Perfect 365. 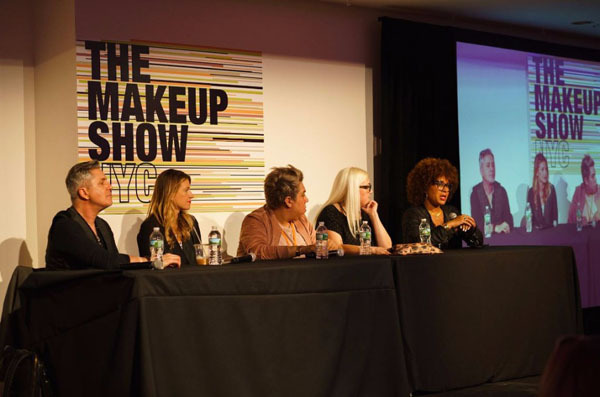 This year The Makeup Show NYC hosted the industry’s first ever, The Makeup Show Pro Awards, an annual awards series that allows makeup professionals the opportunity to show their favorite products and peers a little industry love. Jordan Liberty took home the win for Artist of the Year, who was proven by his peers as a master of his craft and an artist that has made an indelible mark on the industry this year. Brands from Ardell Lashes, MAKE UP FOR EVER, Urban Decay, MAC Cosmetics, Kat Von D Beauty, and RCMA took home the win for products in their awarding categories! The Makeup Show Art Gallery- Colors of Beauty highlighted the work of incredibly talented Moises Ramirez. His gallery was a selection of multimedia pieces from various art collections that he has worked on in the past few years. 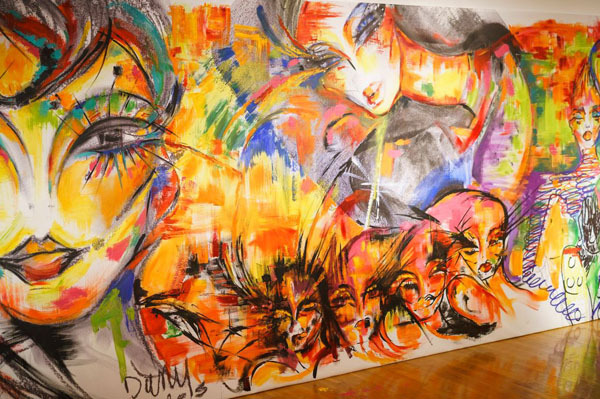 His inspiration was drawn from when he was studying mixed medium and digital arts at Arizona State University; he branched off into the beauty world with a position for a creative global cosmetic company. 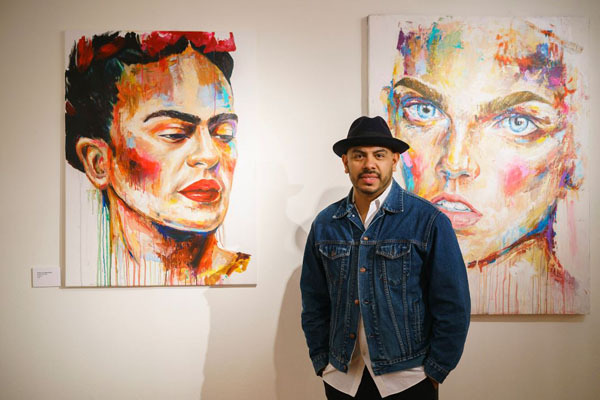 Ramirez’s style is unique because it incorporates his art form skills of painting, makeup, and photography. 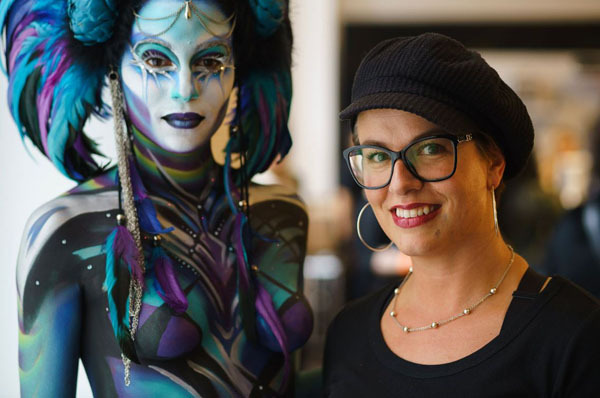 The Makeup Show NYC featured a rare lineup of keynote speakers by top celebrity makeup artists and icons from around the world. A few in attendance included Romero Jennings, Jordan Liberty, Kevin James Bennett, and Vlada Haggerty. Each of these artists shared their secrets to success and techniques in inspiring keynotes and demonstrations. Hands On Workshops allowed a limited number of dedicated artists to be a part of intense learning with some of the largest names in the industry including Orlando Santiago, James Vincent, Esterique Aidan, Danessa Myricks, and Esterique who spoke on topics such as editorial beauty to the perfect makeup for photography to fundamentals of complexion and contour. The Makeup Show NYC went out with a bang, finishing up with the return of the Beauty Tour NYC. Guests of the Beauty Tour were able to tour the city by bus with James Vincent, stopping at some of his favorite inspirational New York City spots, such as MAKE UP FOR EVER, NYX Professional Makeup, MAC, Sephora, Temptu, and The Body Shop.